Photorejuvenation treatments uses broad spectrum light to target pigmented lesions (freckles, age spots, sun damage), vascular lesions (small veins, ‘redness’, rosacea). It is the treatment of choice for clients with mild to moderate signs of ageing, sun damage, rosacea or generalised diffuse redness. The treatment is very safe and effective and takes around 15-20 minutes to treat a single area. The treatment is very well tolerated in the majority of clients. Numbing cream is available at a cost of $20 per treatment or $50 per 20gm tube (lasts 3 treatments for small to medium areas). IS THERE ANY ‘DOWN TIME’ ASSOCIATED WITH THE TREATMENT? 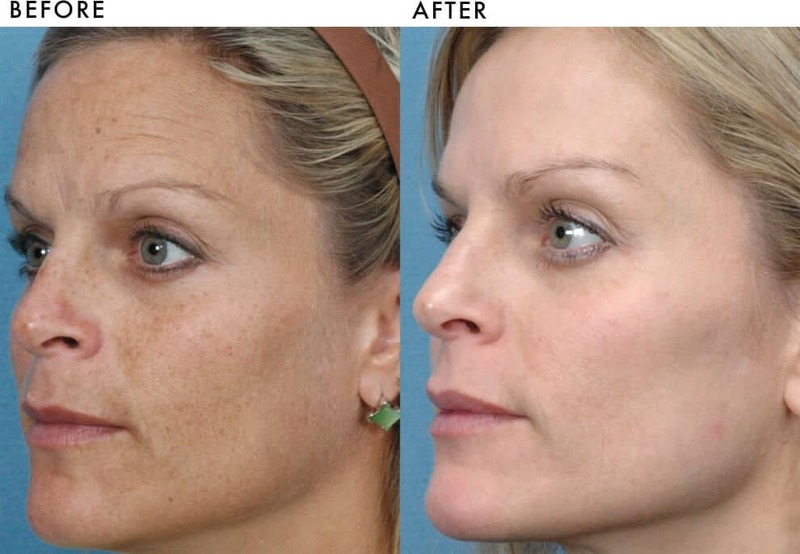 Photorejuvenation is non-invasive and there is no ‘down time’ associated with the treatment. You may experience some darkening of the treated area. This is normal, and a sign the treatment was effective and will generally fade within 1 week. Most people can apply make up and return to work immediately afterwards. It’s important you follow the post care instructions explained to you by your therapist following the treatment including the application of sunscreen. Any area of the body can be treated. The most popular areas are the face, neck, back of hands, décolletage (chest) and neck. The number of treatments needed varies between clients. Although you will likely see some improvement in your skin after your first treatment, most people require 3-5 treatments for optimal results with 3-4 weeks between treatments. You may need to return for maintenance treatments every 4-8 months depending on your skin care routine, exposure to sunlight and the ageing process. Please refer to our full treatment menu for pricing. Discounts apply when multiple treatments are purchased or when purchasing multiple treatment areas. Photorejuvenation can be combined with other laser treatments, dermal fillers or anti-wrinkle injections to enhance results. Talk to your therapist regarding your areas of concern and they will advise you of your treatment options.